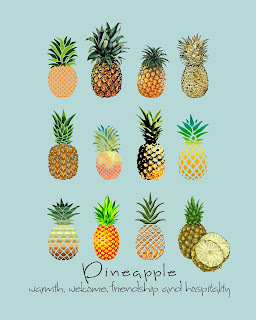 It's been so hot here lately and there is nothing more refreshing than eating cold, sweet pineapple pieces to cool you down. 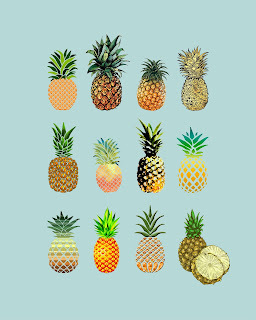 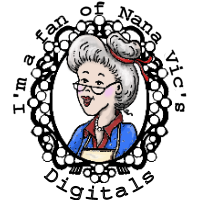 I'm also designing some new digital papers that feature pineapples, so I thought I'd put together a little free print to share with you all. 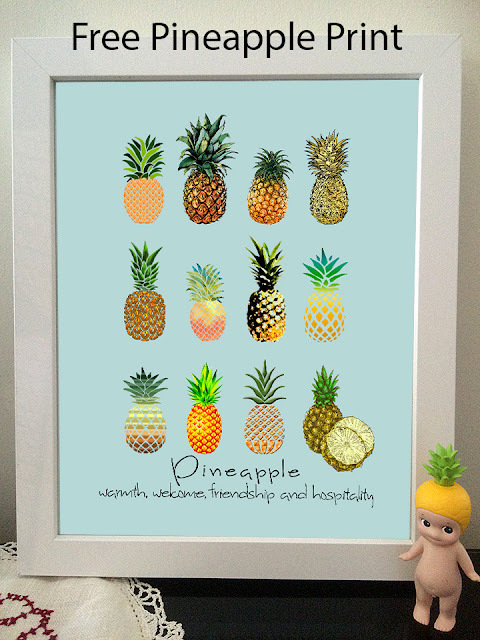 12 little pineapples, all different and the 8 x 10 inch print is available with or without the meaning of 'Pineapple'.